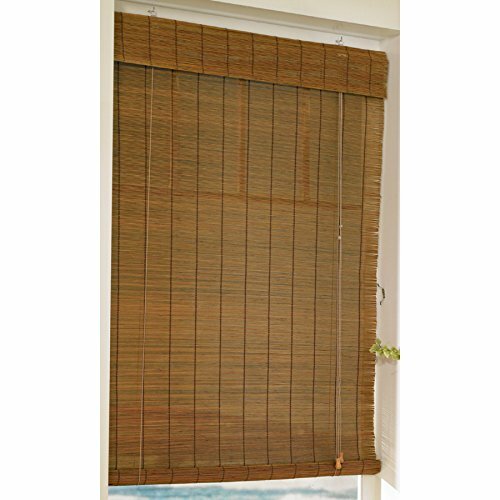 These custom roman style woven wood shade have a smooth appearance which accentuates the beauty of the natural woven materials - shades raise evenly and stack into neat flat folds. Practical and reliable construction pulley control system for years of smooth and trouble free operation. Cords forward, valance and all hardware included. Ships in 3-5 days. ATTENTION PLEASE READ. We can customize these roman woven wood shades up to an 1/8th of an inch. We follow up with every customer to see if you need and inside or outside mount and more precise measurements. For an inside mount, just give us the exact measurements of the opening rounding down to the nearest 1/8th and we will take any deduction needed to fit that space. For an OUTSIDE the window frame mount we take no deductions. Don't see what you are looking for?Message us and we can go over your specific needs. Classic roman style woven wood shade has a smooth appearance which accentuates the beauty of the natural woven materials - shades raise evenly and stack into neat flat folds. We can customize any size up to 72W x 72L. Call us today at 1-800-655-1080 with any questions or customization needs. Ships in 3-5 days. Moisture controlled (kiln dried) to prevent warping and rotting. Practical and reliable construction pulley control system for years of smooth and trouble free operation. Cords forward, valance and all hardware included. 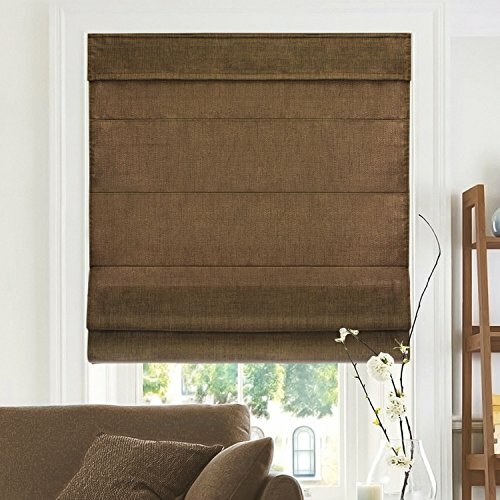 Chicology Cordless Roman Shade is a classic shade re-imagined for the modern home. 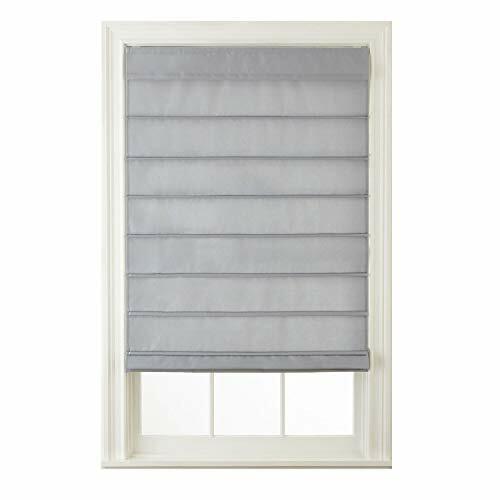 Combining utility, style, and quality into one complete window treatment, this shade is designed to bring new elegance and beauty. Crafted with a symmetric cross-hatched fabric, supported by a fabric valance in front and a white liner behind, our classic roman shade is a statement to your home interior. Enjoy a peace of mind with children and pet safety as the shade is also manufactured with a durable cordless mechanism. Simply tug the shade to raise and lower to any desired height while the bottom fabric fold maintains a sleek cascaded appearance. 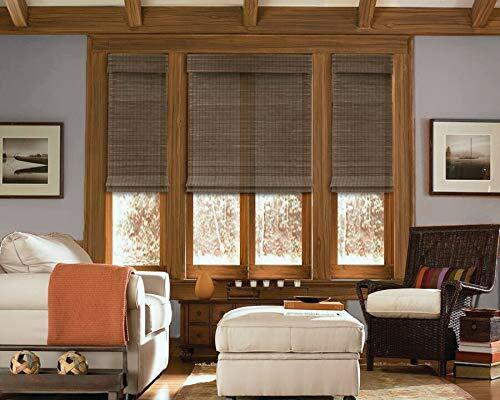 The Cordless Roman Shade is true-to-size and suitable for both inside and outside mount. 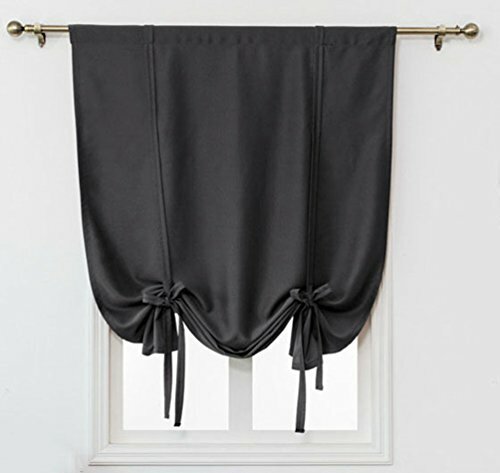 Fully raised, the shade measures 12 inches in height; the fabric valance covers the top 6 inches. A minimum depth of inch is required for inside ceiling-mount (1 5/8 inches for flush depth). Outside wall-mounts require a clearance height of 1 5/8 inches. Instruction and mounting hardware are included, making installation easy for living rooms, bedrooms, nurseries, and more to leave a fresh impression to any home. The classic shade, re-imagined for the modern home. 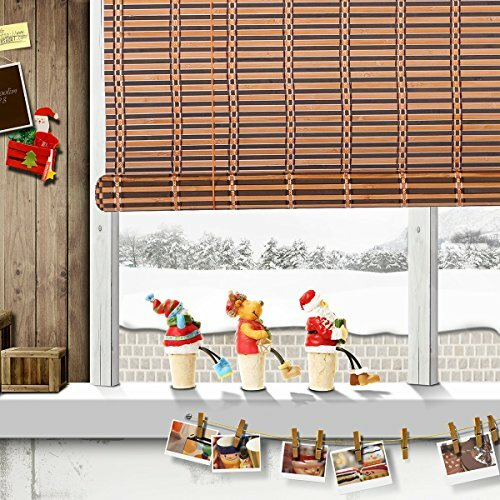 This is Chicology's Cordless Roman Shade. Beautiful, on-trend fabrics fold in perfect balance and harmony to create a vintage yet fresh fabric window covering. Raising or lowering the shade is fun and easy with our premium cordless free-stop mechanism. Enjoy peace of mind with safety for children and pets. FABRIC: Light filtering with privacy. Beautifully cross-hatched cream fabric is supported by a white liner to create the perfect mix of shade and airy ambiance. EASY TO MEASURE: This shade is True-to-Size. Based on your selection, this shade's actual width will be exactly 23-inches wide by 64-inches tall. 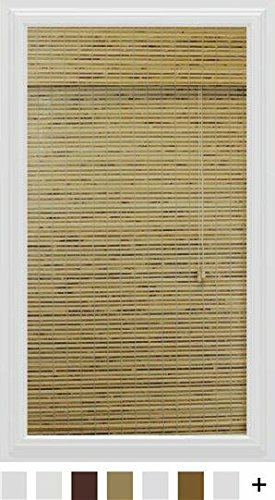 Made of selected bamboo, this window blind roman sun shade can be easily installed in minutes with all necessary hardware included. It can be used indoor or patio, Smoothly roll up or down to control sun light and wind in your room. Our best selling roman shade- now available with a cordless lift! Our roman shade features a tailored styling that gives your window a smooth silhouette with the exact amount of sunlight you desire. Calyx Interiors' beautiful Roman-style Bamboo shades can only be described as the sensible choice. Noted for their rich textures and beautiful colors they also help protect calyx Interiors' home against penetrating heat and Winter air. Note: For inside mount, please order a shade that is smaller than the width of calyx Interiors' window so that it fits inside calyx Interiors' window or does not rub against the sides. It should be at least 1/4 of an inch smaller to ensure a proper fit. Not for outdoor use, it will mold in high humidity environment. Each shade comes with a Retro-fit kit recommended by the CPSC. This kit enables the removal of operating cords. For more information on Roman Shade safety go to windowcoverings.org. Style Selections Fruitwood Light Filtering Natural Roman Shade 30" x 72"